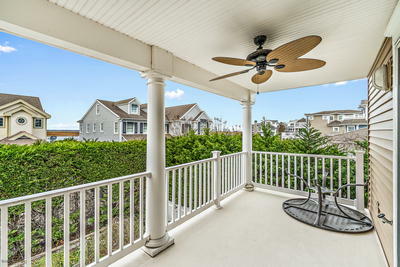 Love the south~end of Avalon and its wide quiet beaches??? 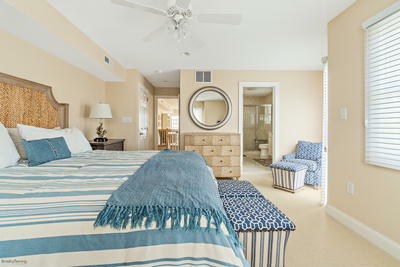 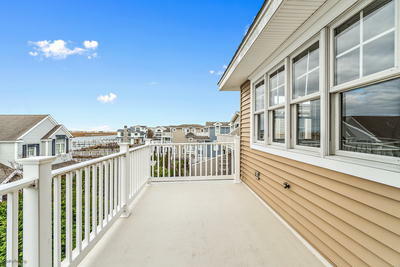 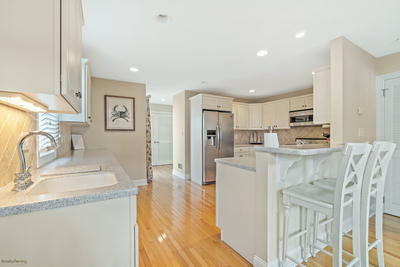 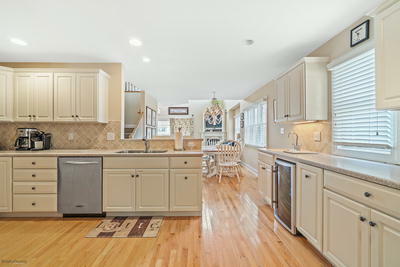 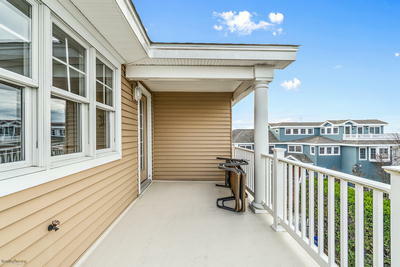 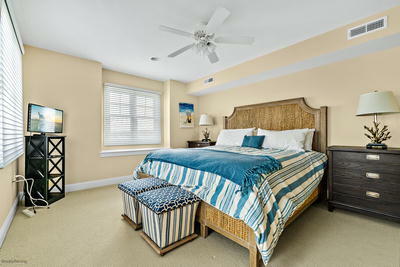 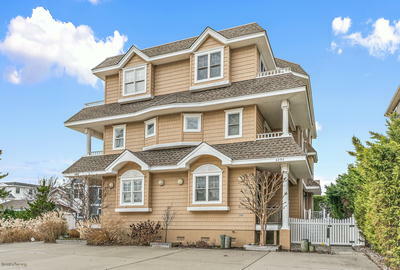 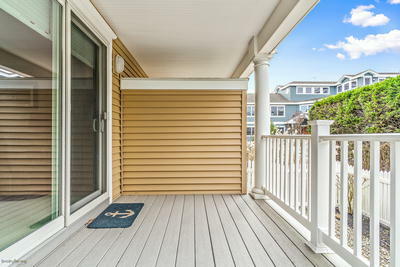 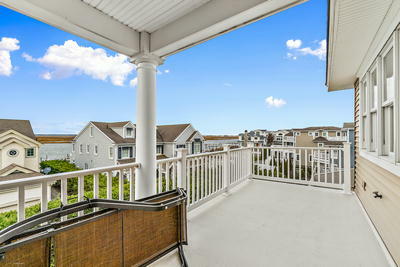 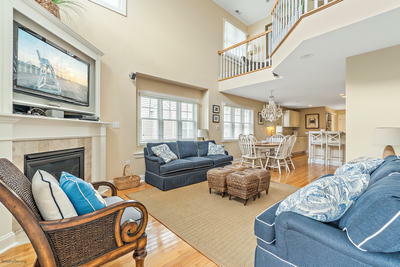 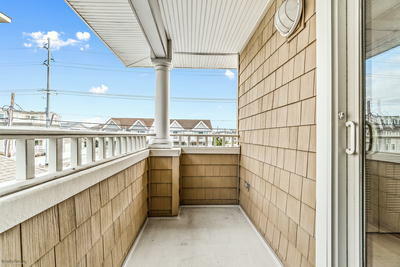 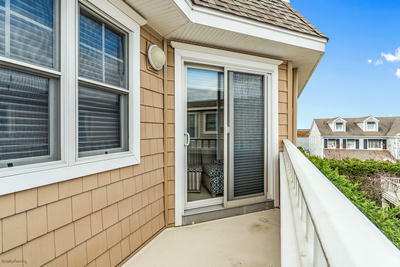 Come check out this pristine 4 bedroom, 3 full bath townhouse with lovely bay views from the 2nd & 3rd floor deck areas. 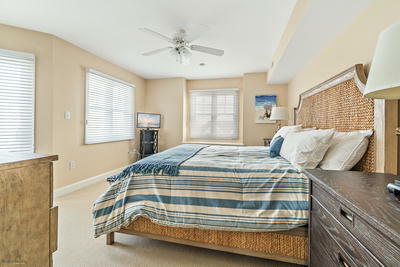 Beautifully furnished and appointed, the first floor features 3 bedrooms along with a full hall bath with double vanities and a tub/shower combo. 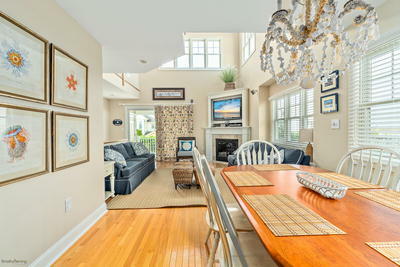 The second floor bright and spacious living area/dining area/kitchen is the perfect entertaining area. 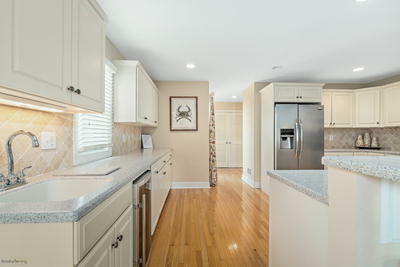 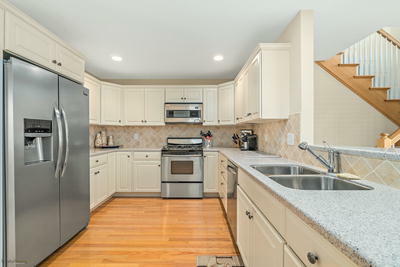 The oversized kitchen has lots of counters space, stainless appliances, Corian counters and a full wet bar area with built in wine fridge. 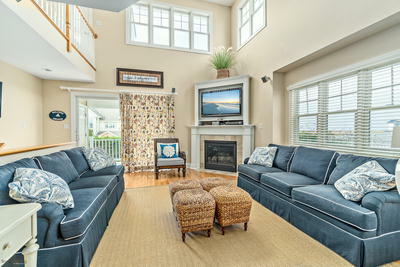 The living area features a gas fireplace and water views! 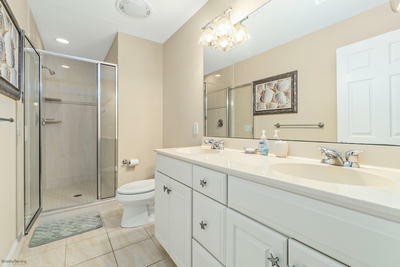 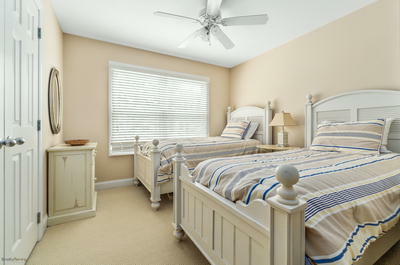 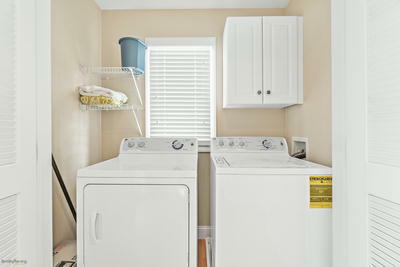 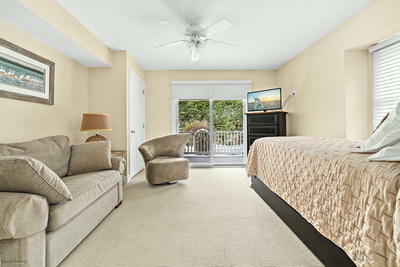 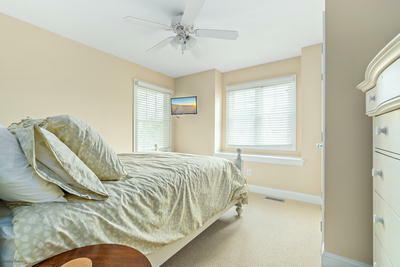 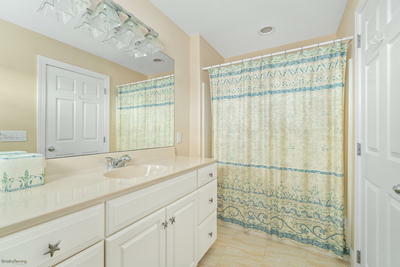 There is a laundry closet and full hall bath also located on the 2nd level. 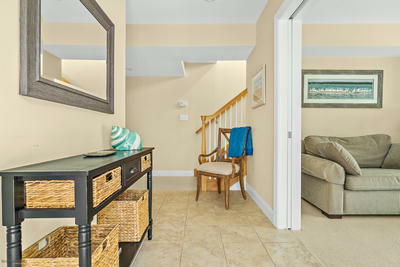 Take the stairs to the 3rd floor and enjoy the private master suite with private bath, an open loft area which is the perfect place to curl up with a good book AND�@��(��.another deck with bay views. 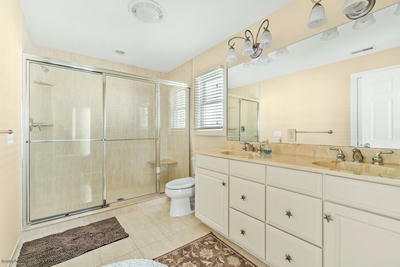 This property has two storage areas and an outdoor shower. 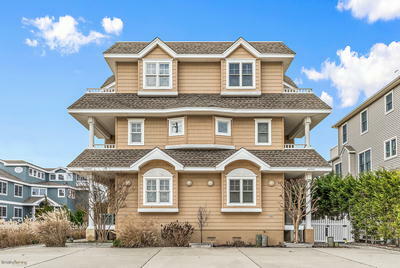 Off street parking for 3 vehicles.